Now offered by SkinSmart. This new treatment cleans, exfoliates, peels, extracts and hydrates your skin leaving it feeling fresh and healthy. 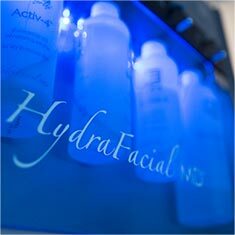 The HydraFacial procedure is a non-invasive, non-surgical treatment that delivers instant results with no discomfort or downtime. The procedure is soothing, moisturising, non-irritating and immediately effective. The treatment is performed by a therapist and overseen by Dr Williamson. It takes about 30 minutes. It is not painful and there is no downtime. Treatments work best if they are regular – it is like gym for your skin. Once a month or once every six weeks is ideal. To book an appointment call the clinic on 9949 9988.